On today’s episode of THE FOOD SEEN, “open sesame” to tahini, the principal product behind Soom Foods sister-owned company creating pantry staples. 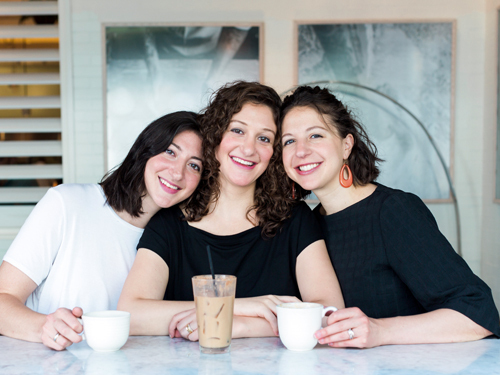 Shelby, Jackie and Amy (Zitelman), source their single-origin sesame seeds from Humera, Ethiopia, process the paste in Israel, and after nearly 6,000 miles of transport, their premium Soom tahini (& chocolate sweet tahini halva spread) condiment, find their way to Philadelphia, and then into our homes and hearts. Of course, you can make hummus with a spoonful of Soom, but tahini is an indispensable in pantries, for vinaigrettes, sauces, spread on toast with honey, baked into banana breads, falafel sandwiches, and even chocolate chip cookies. So, try some Soom, and you’ll see the power of sesame!